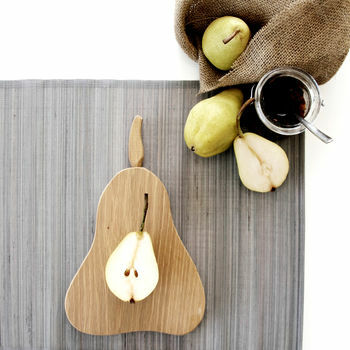 A beautifully designed and handmade Pear is part of the Orchard Board range. A perfect Christmas gift, for bakers, chutney makers & cheese lovers. This beautifully shapped pear uniques stands when not in use, making it as lovely to display as it is to use. 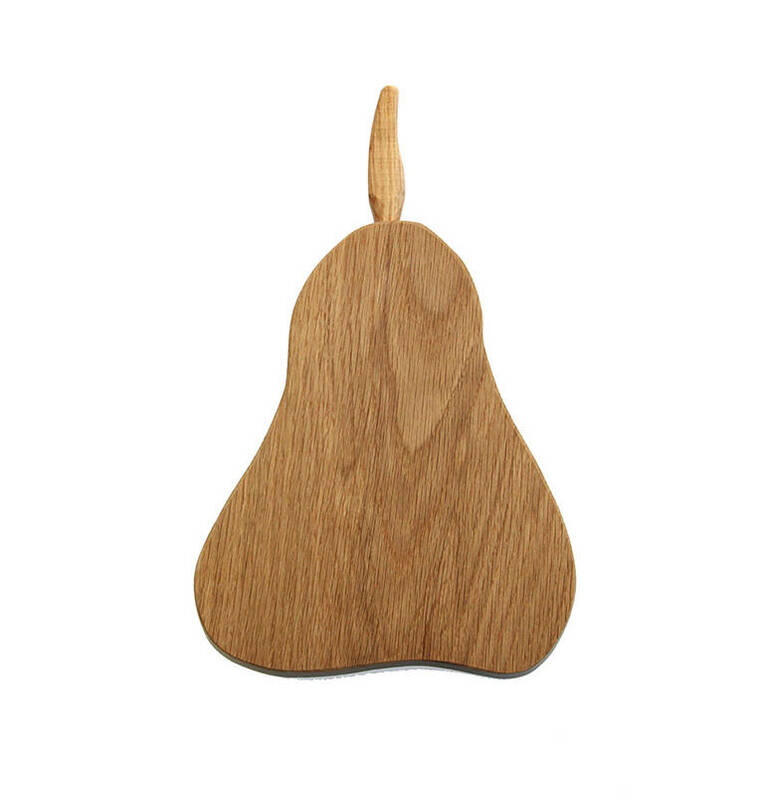 Purposely designed to be a smaller chopping and serving board, this useful and neat Pear board is lovingly handcrafted down to the subtle curves and delicately chiseled stem. The Pear sits beautifully in both contemporary and rustic country kitchen interiors. The design is simple, the craftmanship beautiful, made by hand, each one is unique. The oak is sustainable and full of character and the charm is bringing a little of nature into your kitchen in a quirky and fun twist. 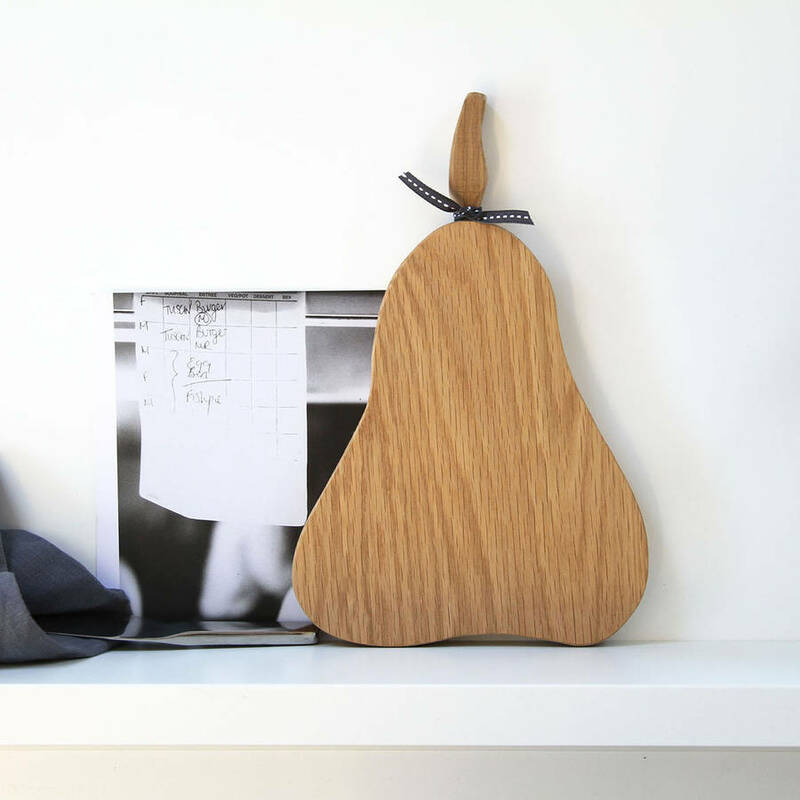 Each pear board is beautifully handmade from solid oak, sourced from sustainable forests. Lovingly hand made in solid oak sourced from sustainable forests and finished with Danish oil. This product is dispatched to you by Hop & Peck.